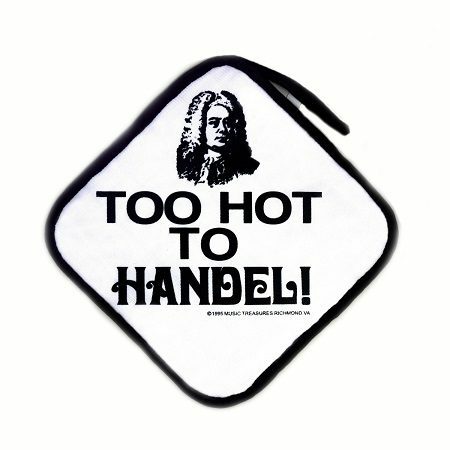 Too Hot to Handel Pot Holder – Show off your passion for music in the kitchen with the Too Hot to Handel Pot Holder! This fun and unique pot holder is a great gift for any occasion, and will bring laughter along with it. Pot Holder measures approximately 7″ x 7″ and have a heat resistant backing.